Her self-helpy travelogue dominated bestseller lists and garnered her fans across the globe. But there’s more to Elizabeth Gilbert than pasta in Italy. Whether or not you saw the Hollywood version of Eat, Pray, Love, the image of Julia Roberts rapturously eating sorbet next to a nun in maybe-Italy is likely forever burned into our collective consciousness. That long-lasting image is the result of a zeitgeist gone wild; a hot two months when the film, based off the New York Times bestselling book of the same name by author Elizabeth Gilbert, was all anyone could talk about. And that came hot on the heels of the book of the same name, which for a period of years seemed all some people could talk about too. Now, two books later, Gilbert has published Big Magic, a self-help treatise on how to be more creative in your day-to-day. Gilbert will be promoting her new book at the Newmark Theater this coming weekend. Before your live Gilbert sighting, however, here are some things you should know to build a bigger picture of the wildly successful writer. ...And she nailed it. The comedy advice podcast, which draws questions from both reader submissions and the Yahoo! Answers service, isn’t necessarily the place you would expect to find a name like Elizabeth Gilbert. A weekly show produced by three brothers cracking wise about everything from ghosts and horses to Garfield, My Brother, My Brother and Me is over 250 episodes in and has only ever featured four guests: advice columnist Dan Savage, musician Jon Rodrick, Gilbert, and the brothers’ dad. The Gilbert episode, “Yippee Ki-yay, Holy Father,” aired in July of last year and heavily features advice about goats (don’t wash them in a sink), family (it’s okay to let go sometimes), and Alan Rickman (terrifying in battle armor). It’s an episode that goes places, and Gilbert performs comfortably in an established group of comedians. 2. Her sister is a young adult fiction author. Gilbert might know so much about goats because she grew up on a Christmas tree farm in Connecticut with her sister, Catherine Gilbert Murdock—also a novelist. In terms of the types of books they write, Gilbert and Murdock’s tastes couldn’t differ more. Murdock helms the Dairy Queen series, which chronicles small town farm life and the sports that keep it churning. 3. Gilbert’s short essays are highly self-critical. Memoirs live and die by their ability to apply analysis to the self, which has been one of the biggest criticisms lobbed at Gilbert: How can you rightly process your own complicated life events in the course of a couple years? That’s where Gilbert’s short nonfiction comes in. In June, she published the highly self-critical “Confessions of a Seduction Addict” in New York Times Magazine. The piece reads like the result of a conversation that has been evolving for years. If Eat, Pray, Love is representative of the sunny, shiny honeymoon upswing period in any given life narrative, this is the sobering conversation you have with yourself in a mirror when you realize no amount of maybe-Italian sorbet or Julia Roberts doppelgangers is going to soothe your own unique mental quirks. It’s Gilbert without the research—arguably her greatest boon and her greatest crutch—writing raw and emotional. 4. Gilbert and her husband have a "world emporium" in New Jersey. Take a drive through Frenchtown, New Jersey, right along the Delaware River, and you might happen across a curious little shop full of a world of wonders. This is Two Buttons, a shop run by Gilbert and her husband, Jose Nunes. Two Buttons is where the couple stores all the ephemera they collect during their travels which, if you ever find yourself in New Jersey, you can purchase for yourself. 5. The movie Coyote Ugly is based on an essay she wrote. The 2000 rom-com about a women-run bar in New York, Coyote Ugly, was based on a piece Gilbert wrote for the men’s magazine GQ called “The Muse of the Coyote Ugly Saloon.” In the essay, Gilbert recounts her time as a newly hired bartender in the infamous, all-woman-staffed Coyote Ugly Saloon in New York’s East Village. There’s a clear mythic quality to the essay, and Gilbert toys with the idea of mythology, so dominated by the male perspective as it is, by swapping gender roles and prescribing those oft male-coded modern heroic qualities to the Saloon’s bartenders (the film did not quite pull off the same feet, but it did hit the cultural radar in part thanks to the Lee-Ann Rimes soundtrack tune, “Can’t Fight the Moonlight”). If nothing else, the essay is an entry point into Gilbert’s nonfiction writing, which is defined by a clear message of personal empowerment. 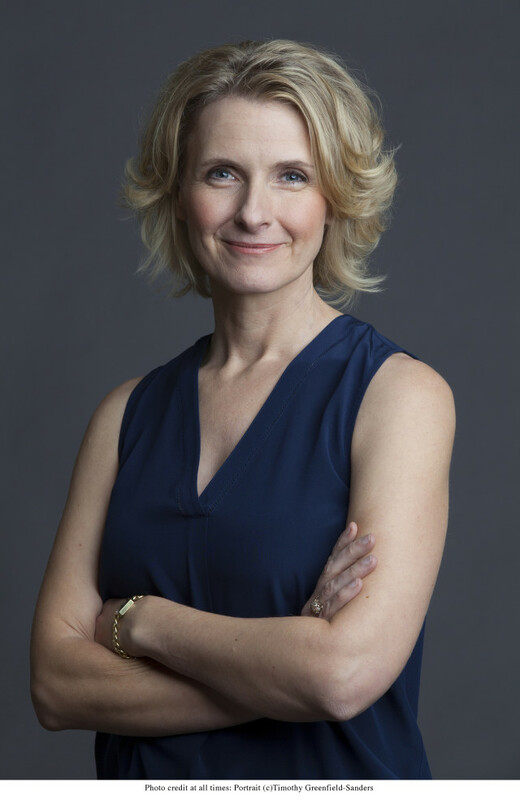 Elizabeth Gilbert will be at the Newmark Theater on Sunday, October 4.